We invite you to join us as we dance from Hong Kong to Singapore. 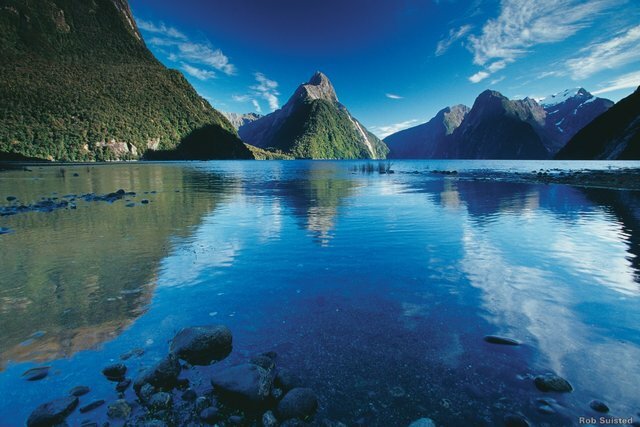 For all aficionados of Dancing with the Stars, Strictly Come Dancing, or just dancing for fun, this cruise visits incredible ports. Our Strictly Come Dancing Hong Kong Ballroom Cruise will travel with like minded people who love to dance, enjoy good camaraderie, and adventures in travel. Morning yoga class, evening or afternoon yoga classes most days, some evening meditation classes. Guided walks in the stunning and healing Tuscan countryside. Walking excursion to a local a vineyard for a wine tasting experience. Day trip to the Cinque Terre with transfers and guided hikes included. Organic, vegetarian meals and fresh detox fruit and vegetable juices, organic wines and beers. Farewell celebratory pizza party with Prosecco. A better and healthier you. Included 7 nights accommodations, all breakfasts, 5 lunches, 5 dinners, wine tasting, guided walks, tour of Cinque Terre, visit to Lucca, sumptuous Tuscan vegetarian meals, 10 yoga classes, and more. Relax and Renew in this Tuscan resort overlooking the hills of Lucca. This panoramic tour of Santiago, also known as “Sanhattan”, includes the best scenes that characterize this South American metropolis. Your tour begins i n the old colonial neighborhoods with their beautiful buildings and homes that are part of the university area.Continue to the city center with stops to see the architecture of La Moneda government palace, the main square and its surrounding buildings. Next, a drive along the green Parque Forestal allows you to admire the stunning fine arts museum. We encourage you to visit the museum in your free time in Santiago. The tour continues to the bohemian Bellavista neighborhood and San Cristóbal Hill for a unique 350-degree view of Santiago. We continue towards Barrio El Golf, showcasing the most spectacular modern aspects of the city and home to many embassies and the headquarters of Chilean and foreign companies. Return to the hotel or cruise port. Our driver will pick you up at your hotel and you will travel along the coast via Route 68, which connects Santiago with the port of Valparaíso. The driving time is 1 ½ hours. 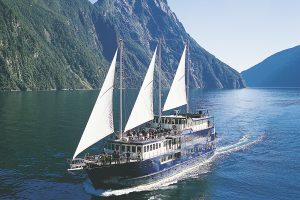 You will cross the Curacavi valley filled with fruit tree plantations, vineyards, little fruit markets and restaurants. Then, cross the Casablanca valley, a wine making area that is growing in fame and where you will see the incredibly lush, green landscape. 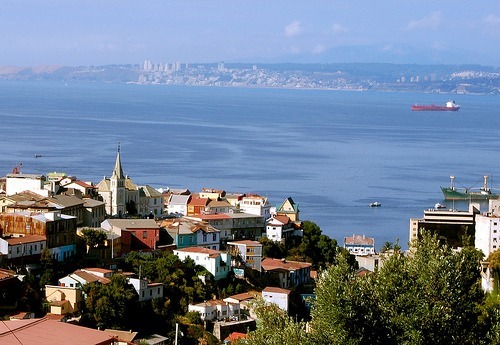 We reach the magical port of Valparaiso, which has been dubbed a World Heritage site by UNESCO. We admire Valparaíso from its many hills. Through walkways and terraces, Take in the wonderful natural amphitheater that frames the bay, to the history of this port-city. Then, enjoy a stroll through narrow alleys that weave through the hills, revealing images and street art on every corner that are all picture worthy. We will also have the opportunity to experience the old funiculars that make this picturesque city famous. 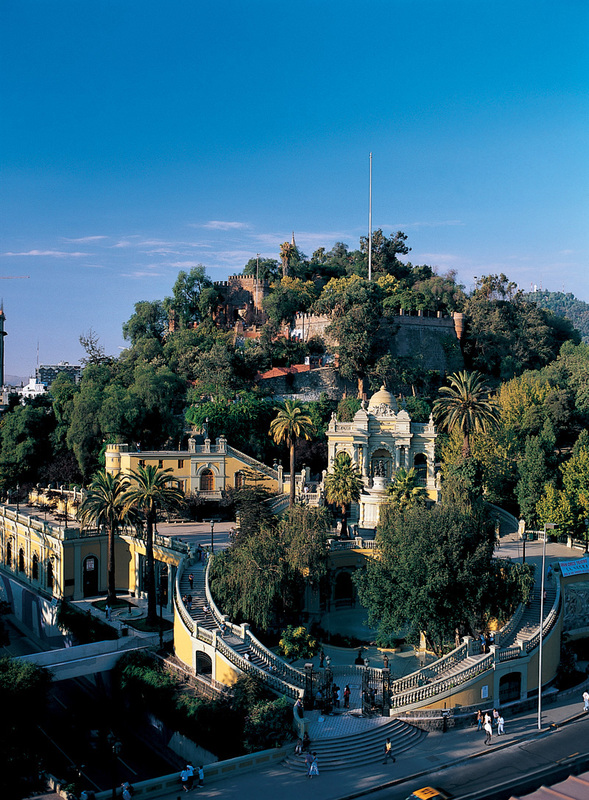 After visiting typical Valparaiso, we head to Viña del Mar to visit its beaches and main attractions.